Older Community members seeking to move back to The Park as the Ecovillage offers social inclusion they want in their more dependent years. 108 of these respondents said they would be interested in renting such housing. Here are 2 voices of eco-home dwellers in the Park. 25 (minimum) Community Owned affordable homes by 2025.
tenure — short-term and long term secure tenancies, shared ownership, co-housing &c.
design re. architecture and re. contexts — ranging from dense co-housing clusters to more secluded individual housing. PET’s Housing DiVision consists of Community volunteers standing ready to help where necessary — especially in providing affordable housing – it does not bid for jobs. 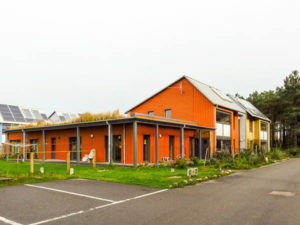 If any Ecovillage body finds itself needing a developer for a Section75 requirement, it may certainly contact us, the Findhorn Community Benefit Charity, and offer it for our consideration. 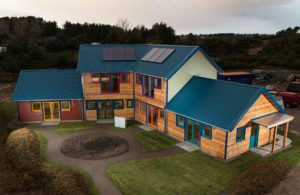 ~ owned and managed by Park Ecovillage Trust. PET aims to bring the Common Ground of the Findhorn Community to the recognised standards of Scottish landlords (Landlord Accreditation Scotland) in our Housing work.